Kalmar, part of Cargotec, and its US dealership Darr Equipment Co. of Houston have delivered a Kalmar Super Gloria reachstacker for barge handling to the JR Intermodal Green Transport Terminal in Texas. The order was booked in August 2015, with delivery on May 30, 2016. This unique reachstacker is the first Kalmar Super Gloria that has been delivered to the Western Hemisphere. The unit can reach the fourth row in a barge, which is further than Kalmar's standard reachstacker, and lifts 45 metric tonnes. The Kalmar DRG450-92HCS5XS reachstacker has a long nose and over height legs for negative lift, and good capacity retention (27 metric tonnes in the fourth row with the support jacks down). The machine also features an elevating cabin to give visibility into the barge and a rear detection system and camera for maximum safety. Container transport via barge from the Green Transport Terminal facility replaces local truck transport and reduces both diesel emissions and traffic. 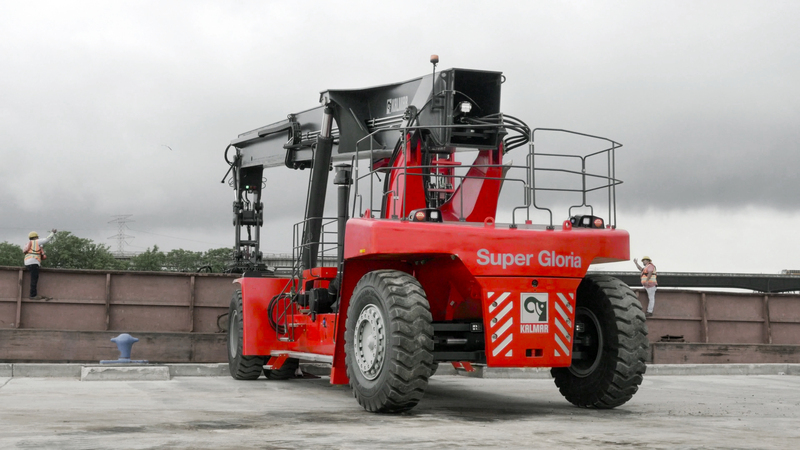 The heavy-duty Super Gloria reachstacker is necessary to handle increased demand resulting from the Panama Canal expansion project, with yearly TEUs at the facility projected to rise from 20,000 to 40,000 TEUs over the next three years. Kelly Richardson from Richardson Stevedoring & Logistics, which handle containers at the Green Transport Terminal, commented: "The Kalmar reachstacker will improve capacity in the stacking lanes, helping us to meet our critical time deadlines." 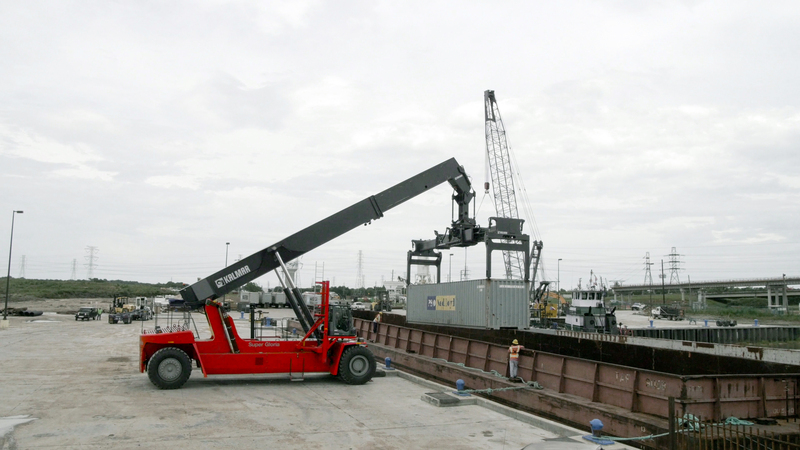 JR Intermodal already relies on Kalmar forklifts at the City Docks and Greensport in Houston and in Mobile, Alabama, and chose Kalmar again for their service, reliability, and flexibility in supplying equipment on short notice. The deal also includes 24-hour maintenance.